When the iPad made its debut in April 2010, the first Touchpress app—The Elements: A Visual Exploration—was right there with it. The app was actually an ebook in disguise, with stunningly beautiful and interactive 3D illustrations, and it seemed almost perfectly designed to rebut skeptics (and there were many) who believed tablets could only be niche gadgets. Elements truly showed us the iPad’s potential as a vessel for rich, interactive experiences that wouldn’t be the same on the iPhone or even on your Mac. 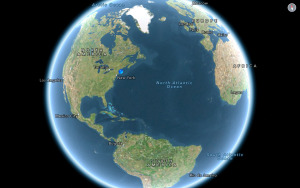 Since then, Touchpress has released more than 20 similarly rich coffee-tablebook-esque apps on science, math, music, literature, geography, and history. The studio’s latest release, Molecules, is a worthy successor to The Elements—and, like that pioneering app, it was written and developed by Theodore Gray. It’s easy to see why Apple hailed Molecules as one of the best iPad apps of 2014. On the app’s first page, Gray says that Molecules is not in any way intended to be a textbook—he likens it, instead, to a chemistry set, an interactive way to explore how atoms combine to make molecules, and how (and why) even molecules with very similar structures differ. The app’s opening image of an old-school chemistry set serves as an immediate invitation to explore—like practically every illustration in the app, you can rotate and view it in 3D. The home screen of Molecules, as viewed on the iPad, is an animated display of chapter titles that invites readers to start anywhere. What’s the difference between cement and concrete, and what’s calcium carbonate got to do with it? This page, like most others in Molecules, explains a lot with a little—in this case, just a few simple sentences, two photos, and a diagram of a molecule. Besides sugar, Molecules covers other household items like salts, oil, soap, rope, wool, painkillers, and peppers. The illustrations and animations are fun to play with, but after a while it’s more satisfying to read about the hows and whys—and the short paragraphs perfectly complement the visuals. 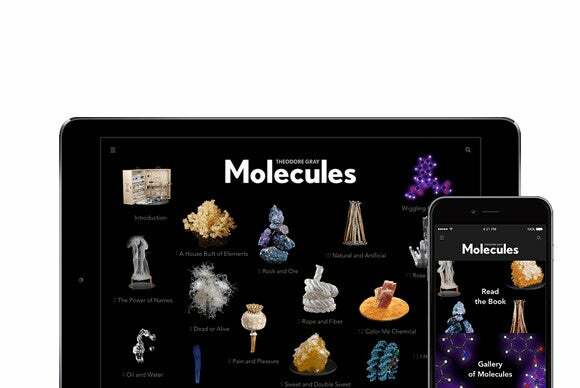 Molecules is a universal app best viewed on an iPad, but even on the iPhone 6’s relatively small screen it’s a pleasure to view and read. This section on vanilla is from the “Natural and Artificial” chapter. Molecules also looks terrific on the iPhone. 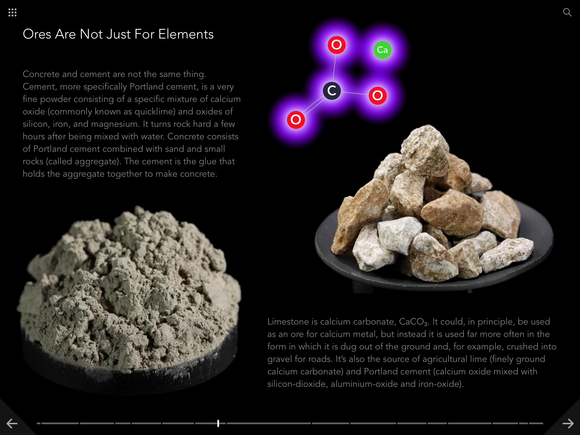 As on the iPad, you can switch back and forth between viewing the app as a chronological ebook organized with chapters, and skimming an alphabetized gallery of hundreds of molecules. Exclusive to the iPhone is the ability to adjust the text’s font size and change the default white text on black background to black text on a white background—and on the iPhone’s smaller screen, these capabilities are a real plus. The photo illustrations by Nick Mann are stunning, and simulations of how molecules change their look and behavior as their environments change adds depth and encourages exploration beyond the app’s scope. Molecules also includes superb simulations that enable you to twist and turn molecules any way you want, and see their behavior at different temperatures. 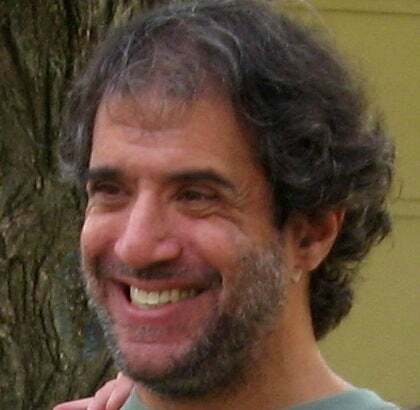 The simulations are built on molecular dynamics code developed over decades at the University of Illinois at Urbana-Champaign. Molecules (the app) was released simultaneously with a lavish hardcover book: Molecules: The Elements and the Architecture of Everything. The content is almost the same, but of course each format has their pros and cons. 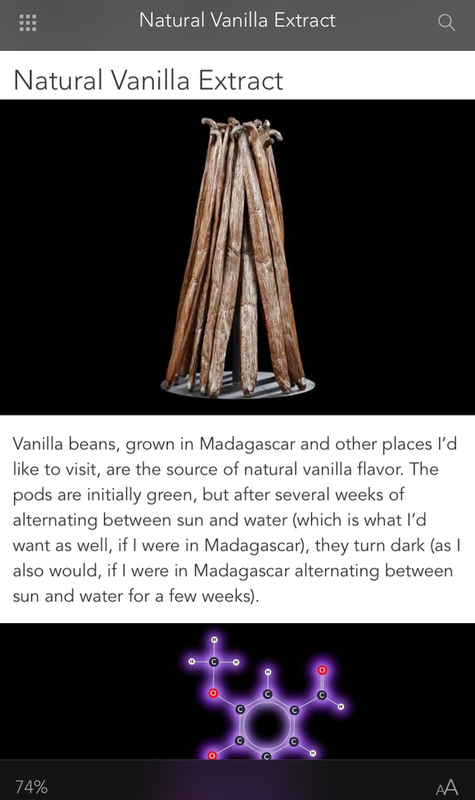 The app is a ton of fun, thanks to the ability to view and play with simulations and 3D images. But the images themselves look much better in the book—they are larger, thanks to the book’s oversized pages, and the photo resolutions are much higher. So, if you’re especially interested in the subject, you may even want to consider picking up both versions. Few iOS apps are as thoughtfully designed as Molecules, and even fewer combine superb visuals with clear writing that encourages exploration. If you’re a parent or teacher looking for a way to engage middle or high school students in learning about the material world, Molecules looks like a pretty good investment. But be careful: you may find yourself spending lots of time with the app yourself—because, unlike those old science textbooks, it’s a lot of fun. Few iOS apps are as thoughtfully designed as Molecules, and even fewer combine superb visuals with clear writing that encourages exploration. 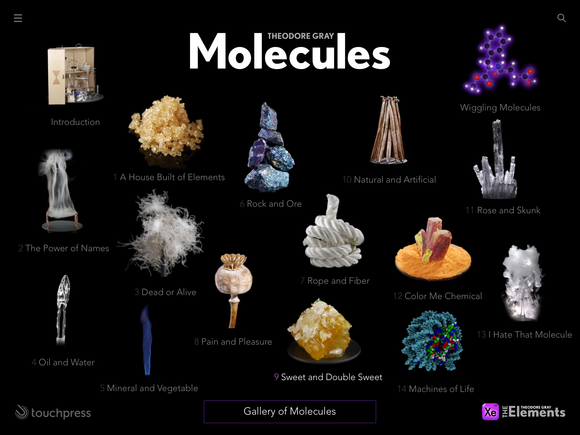 If you're a parent or teacher looking for a way to engage middle or high school students in learning about the material world, Molecules looks like a pretty good investment. But be careful: you may find yourself spending lots of time with the app yourself—because, unlike those old science textbooks, it's a lot of fun.